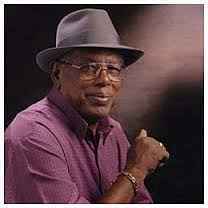 Maxime Laope is a Reunionese Creole singer born in La Réunion island in 1922 and died in July 2005. He began to sing in 1947. In 1949 he recorded his first 78 rpm Lahoppe Et Son Ensemble Créole* - Mi Aim Mon Patois / Le Cœur Créole published by Philips. In 1952 he met Benoîte Boulard with whom he sang for many years. The following year, together, they will sing one of the most popular ségas of La Reunion island : "La Rosée Tombée". But his biggest success remains "Madina" which will become the indicative of the state radio (O.R.T.F) in La Reunion island in the 60s/70s. Maxime Laope will have recorded more than 80 records during his career.